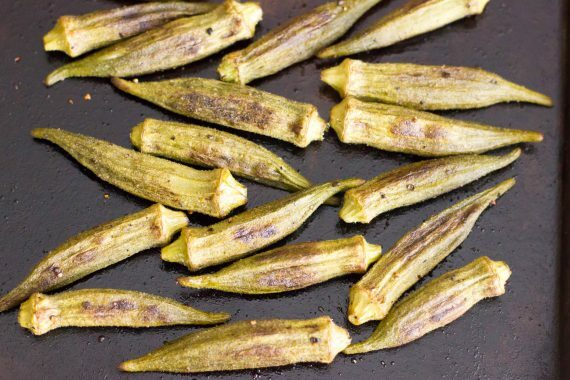 I love grilled okra, but this time of year I don’t exactly want to go outside and grill. Just add it to the list of reasons that winter is NOT my favorite season. My indoor grill pan is an okay winter-substitute for the outdoor grill, but I always miss the smokey char-grilled flavor of my outdoor grill. I decided to roast the okra instead and see what happened. 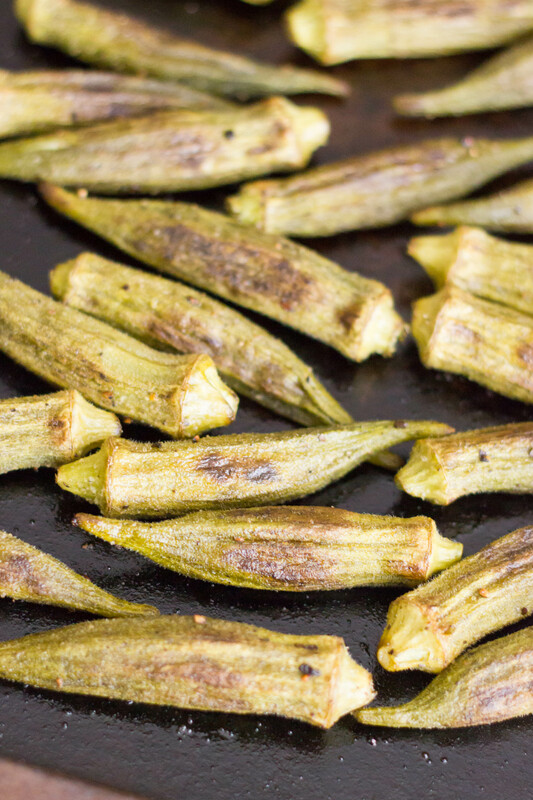 It turns out that okra is just like all other veggies and tastes even better roasted! I hesitate to even post this because it’s not really a “recipe”, but maybe you’re looking for a new veggie recipe or a new way to eat okra. This is it! I feel like okra doesn’t get enough love. It’s delicious! Give it a try. Enjoy! 1. Preheat oven to 425 degrees. In large bowl, toss okra with olive oil until evenly coated. Season with salt and pepper. 2. Spread evenly on baking sheet. Bake in preheated oven for 15-20 minutes or until golden brown. Makes 2 servings.